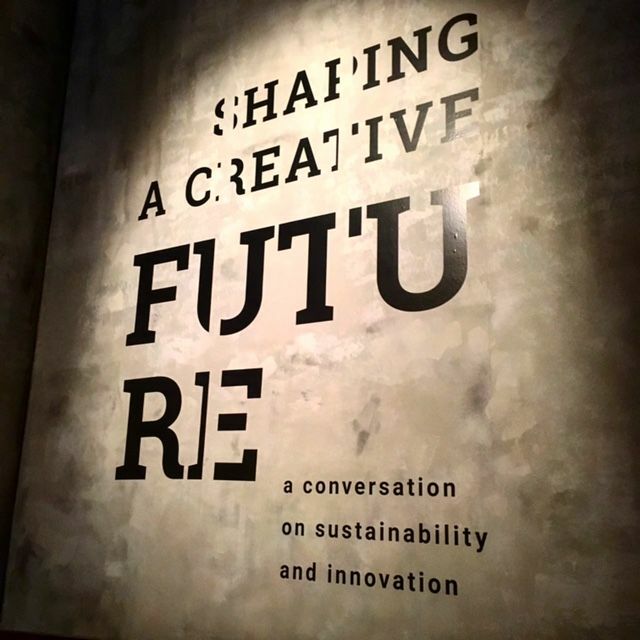 Yesterday in Milan I had the opportunity to join a discussion convened by the Prada Group on the role of the global creative community in promoting sustainability in business. Here are my comments, more or less as delivered. I'll post a full proceedings document on the overall conference as soon as it's available. Moderator: You are part of one of the world’s largest holding companies for advertising, design and public relations agencies – Omnicom - and at a recent famous Cannes Lions creativity festival, then UN secretary general Ban Ki-moon invited creative agencies to produce the world’s biggest campaign for humanity. Is this something you encourage or support in the agencies in your group? Absolutely yes. And, maybe not. But before I explain my mixed opinions, let me say thanks for this opportunity to interact with you all on a topic I am personally passionate about. We are very proud of the work that one of our agencies, Ketchum, does in support of the Prada Group, so it’s especially great to be among you. I remember that challenge from the general secretary, and the year before when former US president Bill Clinton urged the creative marketing community in a similar way to use its art and science to make the world better, and I’m a believer. In fact I was so inspired that I worked with several others from US Advertising Council and the World Economic Forum to launch Creative For Good, a ‘match-maker’ service - like TINDR if had existed then - to pair creative talent with charities and social causes around the world. So yes, absolutely, we need to heed the call to be part of something bigger, part of an effort to use our creativity to make our existence in the world sustainable, inclusive and responsible. I also had the privilege of serving as a jury president for the Cannes Lions festival, judging hundreds of campaigns from around the world, including many focused on sustainability or CSR. Many were wonderfully creative, strategic campaigns that made audiences laugh or cry or think, and they were a pleasure to behold. But I am honest, they probably didn’t make much of a difference in the long term. They were momentary flashes of light, illuminating for a few seconds issues like the refugee crisis, water safety, domestic violence, or climate change. But they soon faded, with little real progress to show. The issues were not diminished, and the companies funding the efforts were not credited with their support, consumers attached little value to their products or services as a result. The campaigns that worked – that really made a difference, were those that supported a larger collaboration. They were stories about issues or ideas shared by a company or brand and its stakeholders, and then told in ways to engage the wider public in meaningful ways. So yes, when we can be part of the solution – helping companies identify opportunities to collaborate with their stakeholders to do real things in the world – I absolutely think we should part of the process, and have a lot to offer. Which brings us to the wider question: the sustainability movement has come a long way over the past few decades, but there is much left to do. Where are there opportunities for companies to help consumers attach value to sustainability commitments? Here I think we have good news, unknown news and scary news. The good news is that we HAVE come a long way in establishing the importance of sustainable business practice as a basic expectation of a company or brand, especially those that are consumer-facing, but really in all industries. By the way, I am using sustainability as a short cut to talk about a wider set of consumer expectations, like social impact and business impact. But the progress we have made raises a troubling possibility – here’s the unknown bit. Have we reached “Peak Sustainability”? Are there more significant gains to be made? I think we have this hope that somehow, though the magic of behavioural economics, evolutionary psychology, or breakthrough creativity, we’ll find ways to attach huge financial value in the minds of our customers or investors to our sustainability efforts, and I’m not so sure that’s true. I fear our gains will continue to be modest and incremental, although I’m not giving up on something big. And that brings me to the scary bit. Whether or not we have squeezed as much value as we can from our green policies and practices and social responsibility practices, I think the whole concept of sustainability will soon be under attack, or at least vulnerable to the cross-fire of a larger assault. I won’t get political here, and I’m talking about the obvious political upheaval underway in the US, the UK and now across Europe and other parts of the world. These are symptoms of bigger shifts, the biggest which is the pace of technological change. We could spend the whole conference on this, so for now I’ll say that I think we’re seeing technology unleash changes and counter-changes that threaten some of our basic assumptions about government, business, commerce and society. It’s all happening faster than a lot of people can handle, and that’s causing turmoil. With turmoil comes unintended consequences and surprises, and we may soon find ourselves in an environment where the assumptions we thing are unchangeable – like sustainability – are suddenly questioned or disregarded completely. I know we need to get to the roundtable discussion, but I don’t want to end on a negative note. So let me come back to what companies that value creativity, aesthetics, arts and culture can do, because I think you – we – are in a uniquely powerful position to redefine social responsibility by companies and brands. Science, technology, data – these are wonderful human innovations that have produced a period in our history unmatched for health, prosperity and progress. But we’re still trying them on, as a species. The more enduring aspects of humanity – the ideas we have thousands of years of experience with – are art, music, stories, design – these are the constructs that will guide us through and beyond any coming changes or transitions, and that offers us enormous opportunity – and great responsibility. And so while I’m anxious about some things – including some very important things – related to sustainability and whether we will continue to see it as part of our everyday thinking about business or whether it’s challenged completely – I am confident and excited about the potential of the Prada Group and others in the room to find new ways to engage artists and the public, now and in the future. We know that younger generations see sustainability and social responsibility as essential to a company or brand’s integrity … and by appealing to them on artistic terms, not on just on factual or economic terms, we may find new ways to bring meaning and value to responsible business. And so to bring us back to the words of General Secretary Ban-ki Moon … I believe we CAN make sustainability goals the business of all business, and the business of the people … but we are going to have to try NEW ways as artists, designers and communicators to connect brands with people in ways that leave the world at least as amazing as we found it.